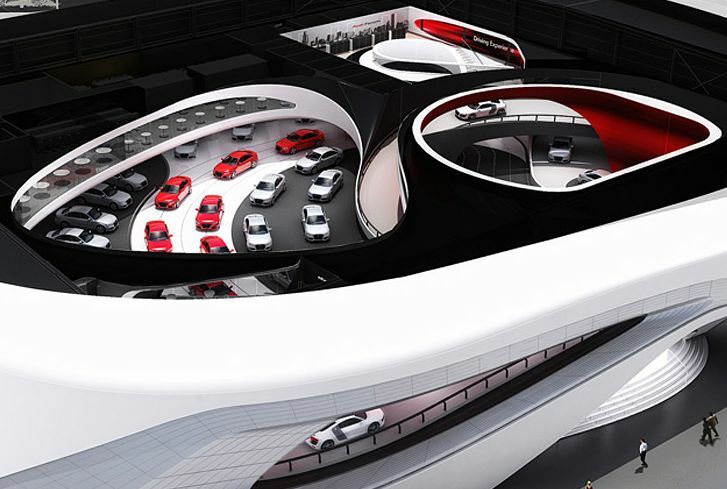 a double-story twisting test drive track encircles vehicle showrooms and exhibits in the ‘audi ring’ building created by munich-based architecture studio chmidhuer + partner for audi during the 2011 frankfurt motor show, running september 15th through 25th. 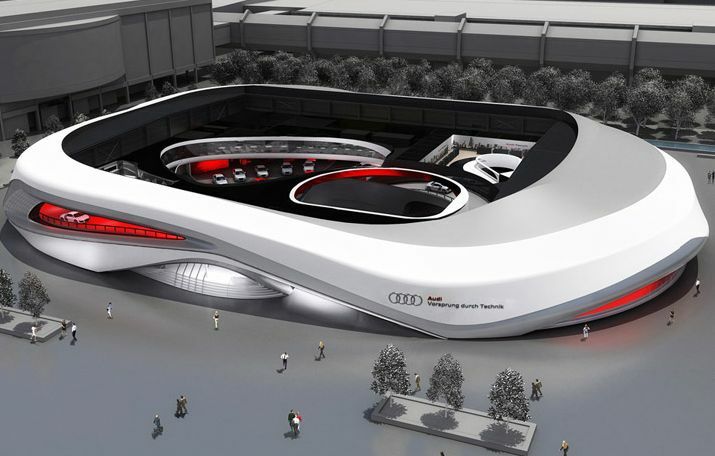 situated on agora square, the ‘audi ring’ composes an entirely separate building at the fair site, the first free-standing temporary building at the event. upon entry, visitors encounter the ‘grand hall’ showroom of new audi vehicles, followed by interactive exhibits about the company’s technology and design process.